BT Message Master series 1200 pager, model 31D, made by British Telecom, Japan, 1980-2000. 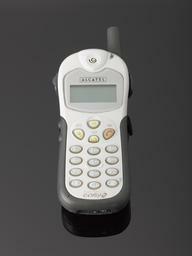 A pager is a wireless device used for receiving and sometimes sending short messages. From the mid-1970s the radio pager offered a way for busy professionals to keep in touch with their office while on the move. 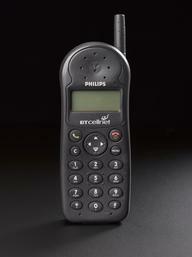 Brief messages could be sent to the pager, though with early pagers a conventional telephone had to be used to return the calls. 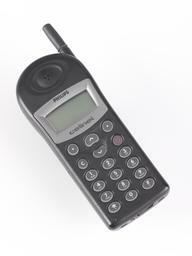 The heyday of the pager was the 1980s, but in the following decade the arrival of the mobile phone made them obsolete. 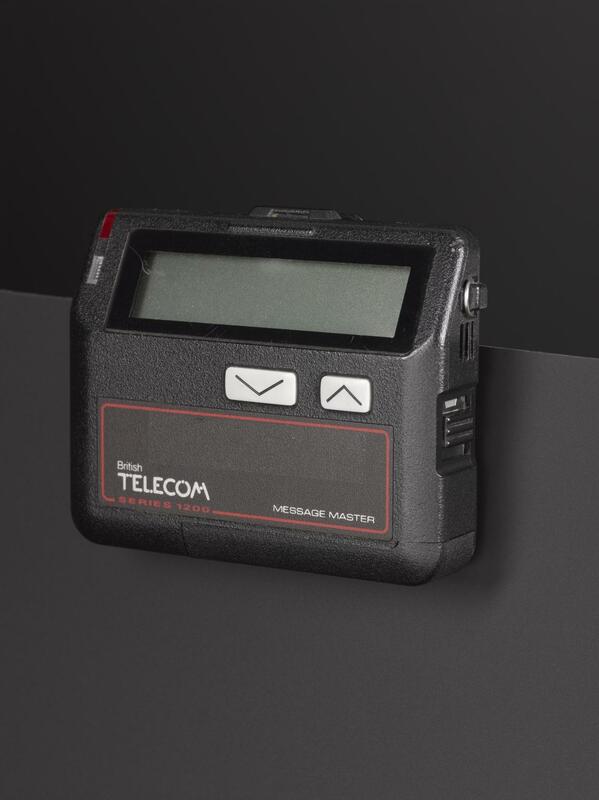 The commercial pager network in the UK was shut down in 2001. 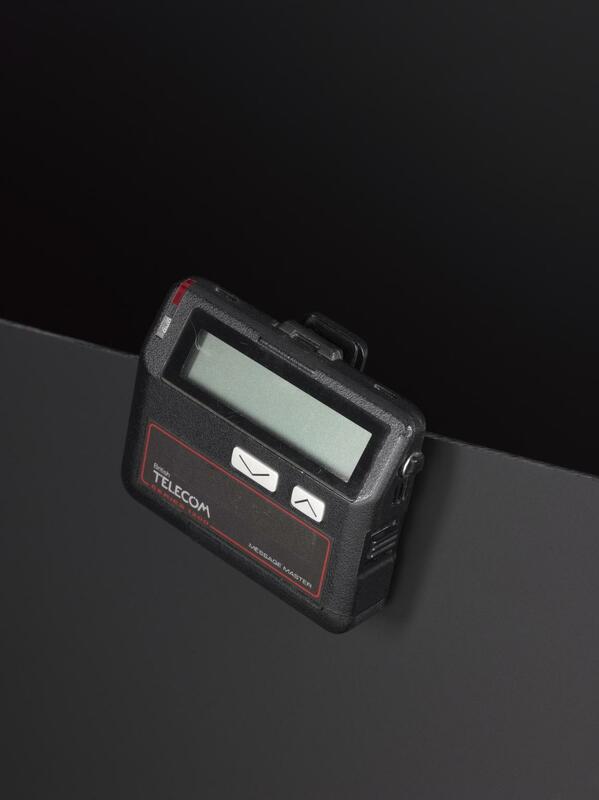 Pagers continued to be used by medical staff and the emergency services, as in times of emergency, pager networks do not become overloaded in ways that mobile phone networks were susceptible to.